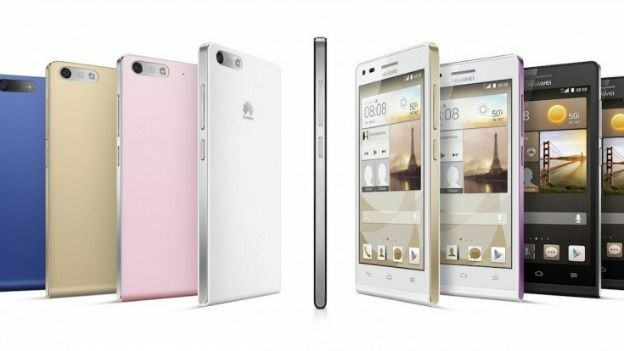 Huawei has introduced the world to its brand new smartphone, the Ascend 6G, at the MWC in Barcelona. The Ascend 6G sports a 4.5 inch LCD with 950 x 540 pixel resolution, a 1.2GHz quad-core processor, an 8MP rear-facing camera, a 5MP front-facing camera and 4G LTE connectivity. Available in two colours - black (with either gunmetal grey or rose gold highlights) or white (with either pink or champagne gold highlights) the Ascend 6G packs a 2,000mAh battery and is just 7.85mm thick. The device is running on Android 4.3 Jelly Bean, but Huawei says the Ascend G6 will feature dual user interface (UI) allowing users to run Emotion UI or a simplified tile-based UI. Huawei's touting 'connectivity' and 'sharing' as the selling points for this phone. From the press release, we think it's probably going to be most attractive to anyone who enjoys snapping and sharing their pics. Alongside its 88 degree wide-angle shooting capabilities, the Ascend G6 has a nifty 'Voice Photo' function, which allows users to record a 10 second clip to accompany their picture. They can then upload it to Facebook or WeChat. The Huawei Ascend G6 is out in the UK this April, but as yet there's no word on what it's going to cost.